"Kept Me Informed Of Arrival Time... Was Genuine And Honest"
"On Time Polite He Had Great Technical Experience"
"Great Set Of Guys. Came On Time. Did The Job. Grafted From Start To Finish. Honest Fair Guys." "Found A Problem Straight Away. Corrected It And Showed Me And Explained To Me What Was Wrong. Brilliant Chap." 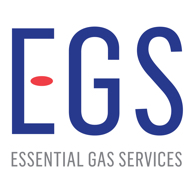 Need a Heating Engineer in Accrington?